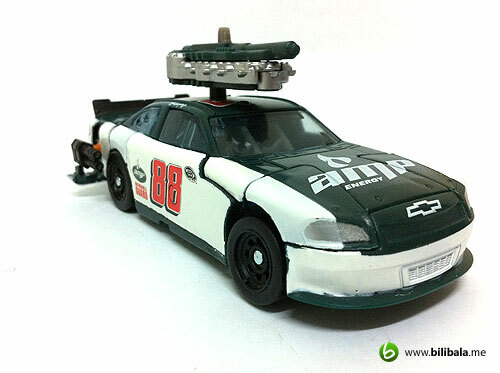 If you have been following closely with sneak peeks and news of the upcoming Transformers 3: Dark of the Moon movie, you will know that there will be 3 Nascars Autobots in the movie. 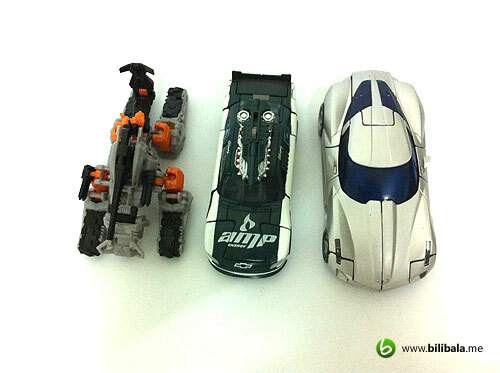 The red (Leadfoot), blue (Top Spin) and green (Roadbuster) if you would like to put them in colors with different names. 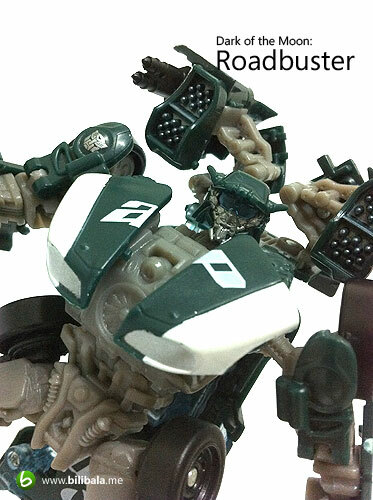 And today, i am going to share the Green color one with the name Roadbuster! 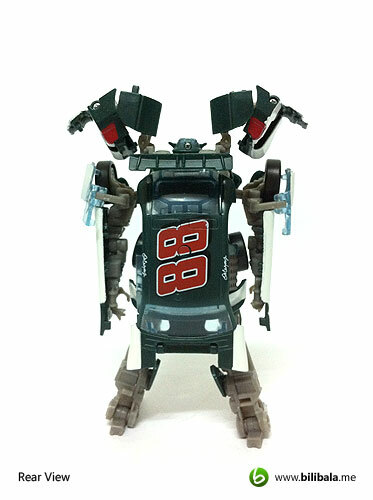 It is definitely a new Autobot that you will expect to see in the movie. Read on! 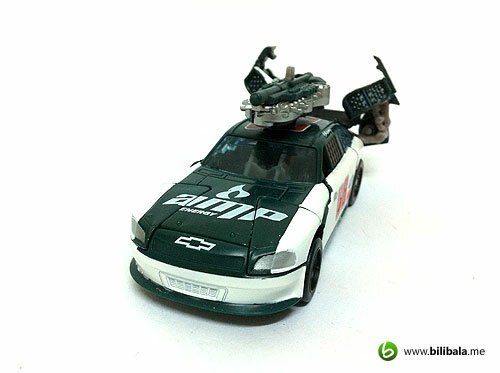 If you are a fan of Transformers, you will know that these 3 Nascars/Autobots actually constitute a commando team alike, called the Wreckers in fictional Transformers universe created by Marvel UK Writer, Simon Furman. There are a few more in the team and if you would like to know more about this sub team of Autobots, you can read more here. 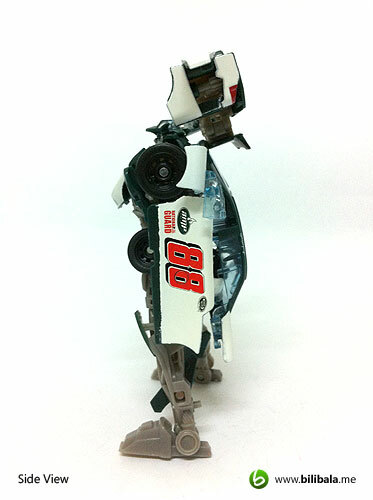 Let’s just focus more on our green fellow Nascar Autobot here. 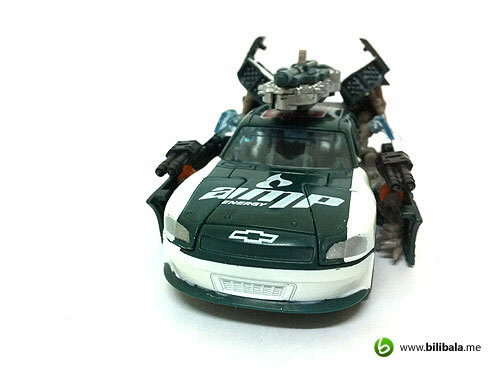 There are actually 2 versions for this Roadbuster: the Deluxe and the Human Alliance. 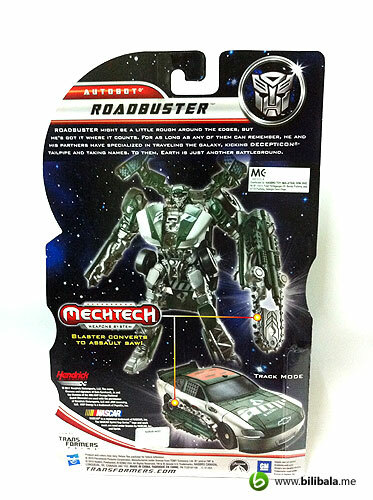 What i have here is the deluxe version of the Roadbuster from Hasbro. Rest assured, I will definitely be getting the Human Alliance version of Roadbuster when it comes out to do comparison for both. 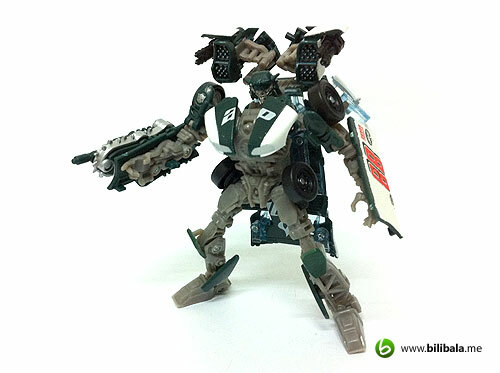 The Human Alliance version looks much more cooler and movie accurate IMHO!. 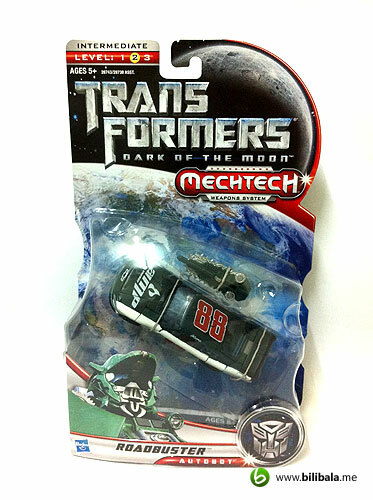 This will be my 1st sharing on Transformers: Dark of the Moon Deluxe class. The deluxe class packaging size has not much different as compared to previous Revenge of the Fallen deluxe and of course, you wont be seeing the “Try Me!” hole here either. 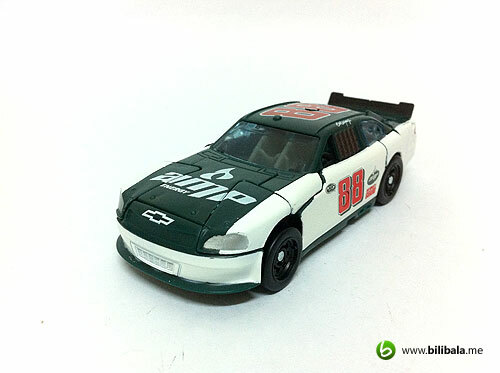 The alternate mode for the Roadbuster is the No.88 Nascar driven by Dale Earnhardt Jr which is actually a Chevrolet Impala SS Nascar. 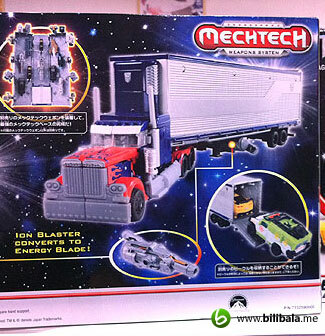 The 1st impression on this toy: light…. and feel cheaply on hand. And not to mention, bad color finishing as well (i will emphasize more on this in the section below). Apart from these, this new mold is kinda cool and fun to play with. 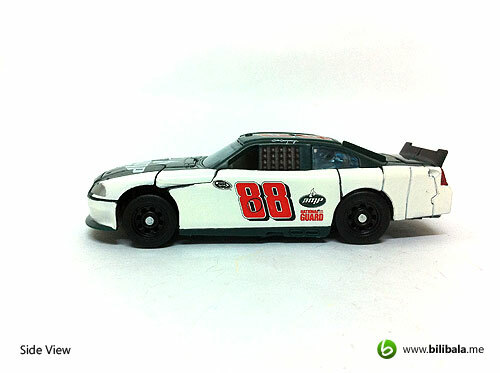 The overall color scheme for the alternate mode does follow closely of the actual Nascar (No. 88 of Green Amp Energy that is) which i guess is of branding restriction which they need to strictly adhere to. The rest of the details such as the small and big decals does kick in the details for this deluxe. 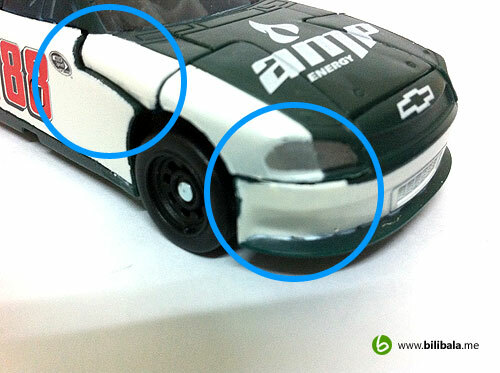 There are some silver metallic colorings on the headlights (which is not made of transparent plastic). You can notice the badly painted front bumper at the bottom left hand side (pic below). 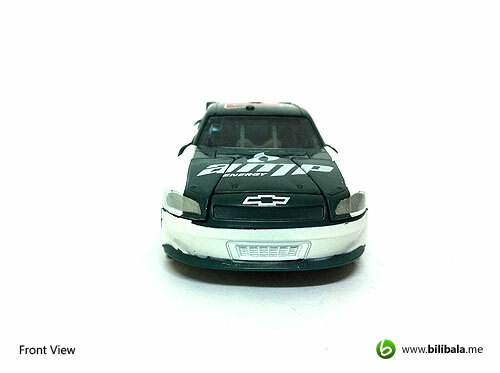 There’s the big AMP Energy decal and the Chevrolet logo imprinted on the front part of the vehicle. You will see some basic decals at the side of the car such as the no 88 along with some smaller decals like “National Guard” , “AMP Energy” and the “Nascar Sprint” logo. This applies to both sides of the car. In addition, there is no special treatment to the wheel of the car and you can only see the wheels are in their actual black plastic color. 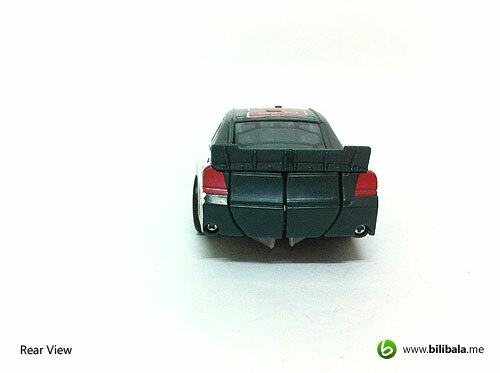 No special treatment being done to the rear lights for the vehicle as well. Just painted in red color and that’s all. The rear color finishes are much more better as compared to the front. You will get to see more decals here: the big No. 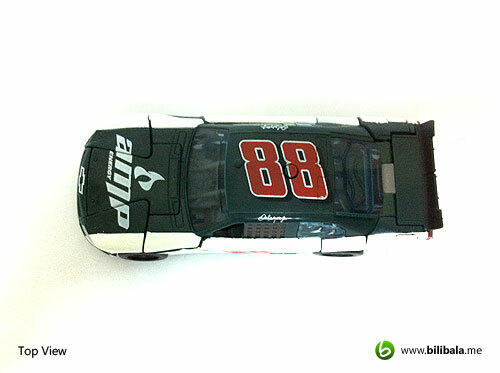 88 , Dale Earnhardt Jr’s signature and the AMP Energy logo at the front bonnet. Very much BRANDED i may say. lol. Okay, i like the mold. 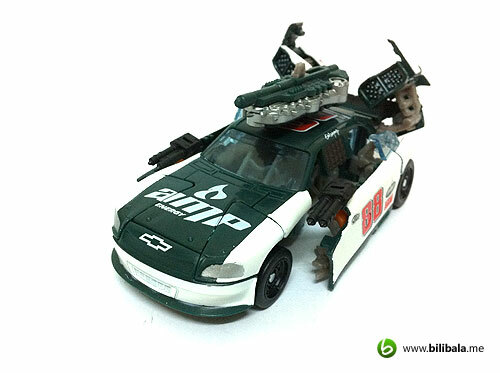 But not the color finishing done to this Roadbuster. It seems like a very rush job and without QC check on the finishing as well. 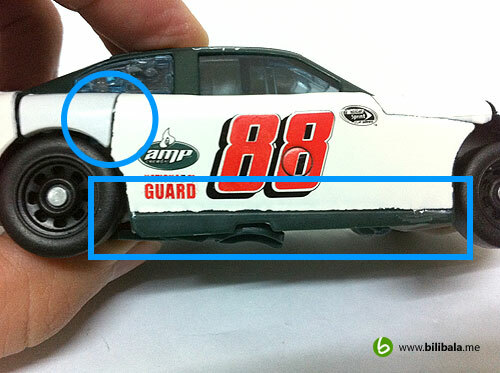 You can notice the uneven finishes as highlighted below (especially parts being painted in white). Same goes to the sides’ finishing. Pretty rough finishes. Weirdly, it only applies to most area with white colors, maybe the workers having hard time in painting white OR a cheaper white paint is being used? Figures. 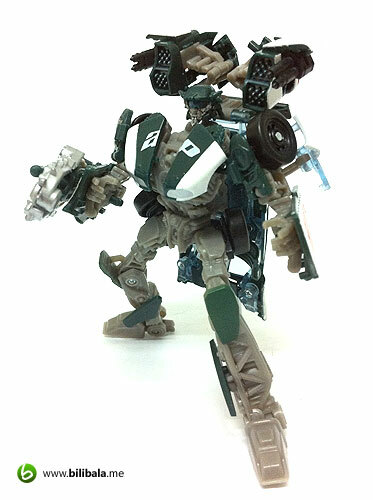 Well, with hidden weapons (and hidden C-ports here and there as well), you can actually form a few cool powered up alternate modes. Here are additional 3 modes which i come out with. Oh ya, for more information on the C-ports location, you can refer to the “Show Me Watcha Got” section below. Much more lighter weaponed mode. 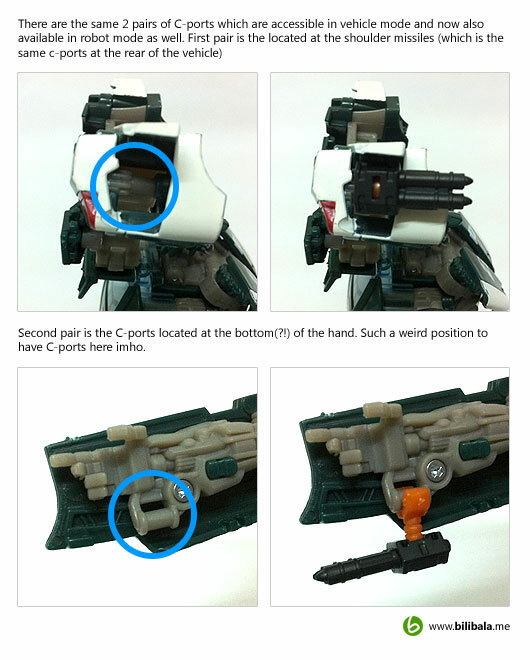 Just by flipping the rear panels and you HAVE to add in additional c-port weapons to the opening. 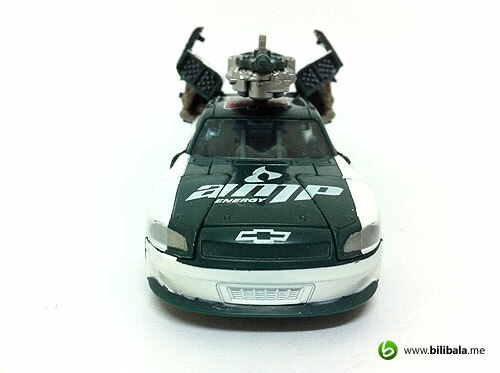 I have used the C-port weapons from my Human Alliance Thunderhead for the add on. View from the back. 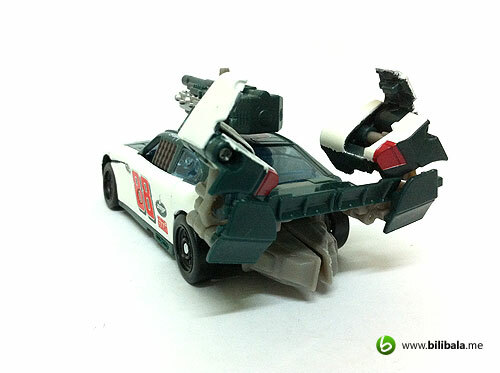 Notice that there are C-port openings just above the red rear lights where you can plug in additional C-ports add on. Neat! 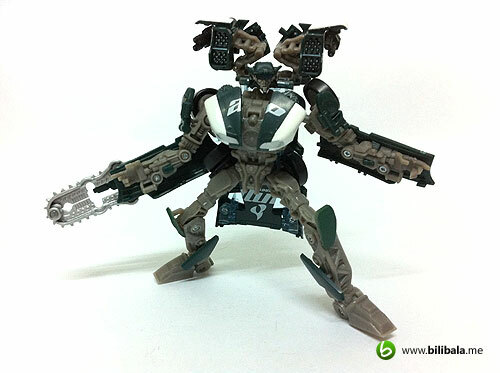 This is heavy, really heavy armored. 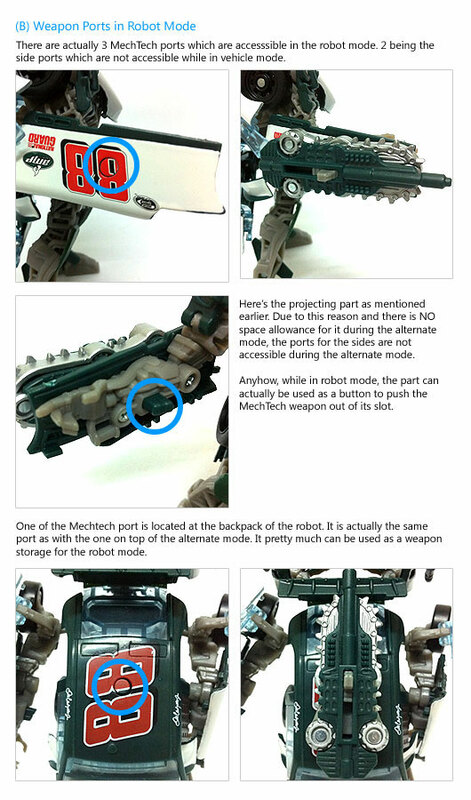 Basically just an extension from the moderate armored mode with the opening of the sides and plugged in the C-port add ons at the sides of the door (yes, there are 2 C-ports there). If you have extra C-port add ons, you can clip them at the rear cannon and make it the fullest and most completed armored Roadbuster alternate mode! People were saying that the new Dark of the Moon Deluxe class has shrunk in sizes. Well, they are definitely not wrong in this. 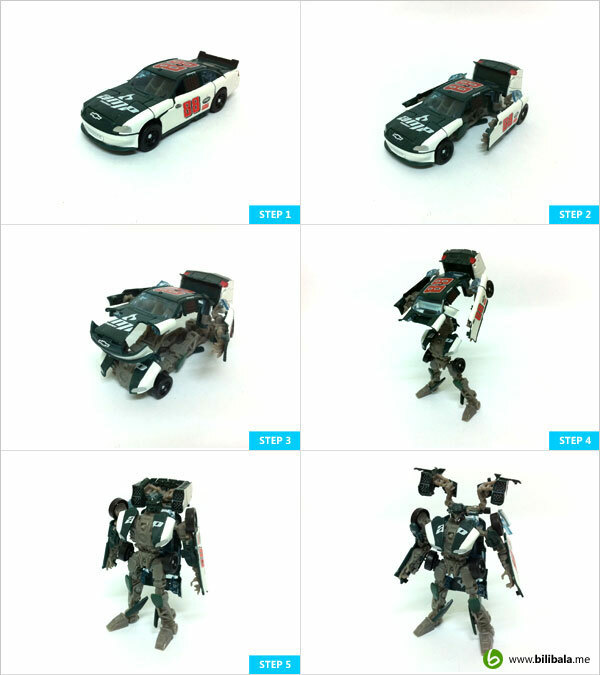 You can see the comparison between the Roadbuster as compared to Human Alliance Thunderheader and the Deluxe Sideswipe in alternate modes. 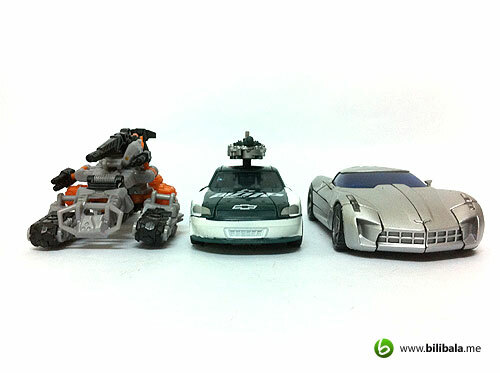 Notice that the width of the Roadbuster is obviously smaller (and thinner) as compared to the Sideswipe. See the comparison from top view. Hmm…. apparently they decided to keep fit for this Dark of the Moon movie. Geee.. and the size is almost as the same as the Human alliance basic that i have. There are reasons for this shrinking in size. Cost and budget factor apart, the smaller size is just nice to fit into the trailer of Takara Tomy Voyager Optimus Prime. Well, what do you think? Just another gimmick to lure you to buy the trailer perhaps? 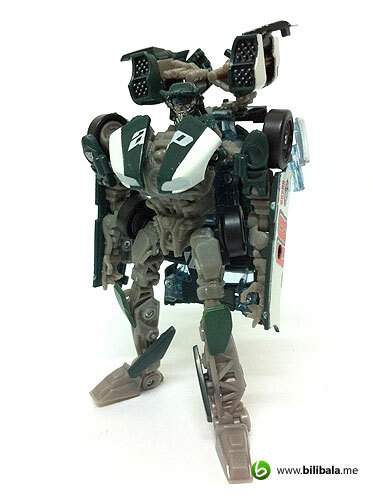 Let’s move on to the robot mode for Roadbuster. I really like the robot mode for the Roadbuster especially the 2 shoulder cannons which he has. Moreover, the design for the chest part is quite neat with a fan like mechanism there. Please take note that the fan is NOT movable ya. Just there for pure decorative purpose. The figure is quite well articulated and body to weight ratio is nicely done. So, posing with him definitely is not a problem. You wont get to see the heavy “turtle shell” backpack design for Roadbuster. Or at least, it is not contributing to the weight for the upper body which cuts down the stability problem of the figure. A close up on the head piece of Roadbuster. If you can notice, the robot head actually is a guy wearing a baseball cap and you get to see string/threads that actually make out as the “hair” for the robot. Transformation is pretty intermediate at first. Quite a bit of twist and turning especially in step 4 to step 5 where you need to turn the whole lower part of the body. 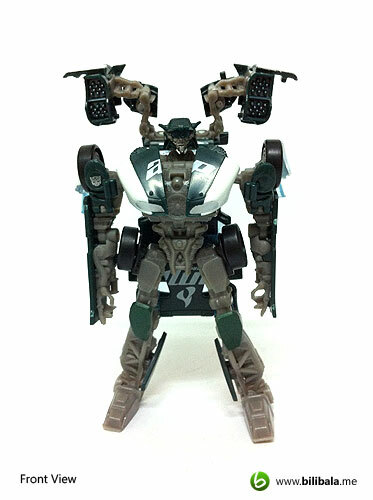 Despite being intermediate, the transformation is not as involving as compared to any voyager class transformation. 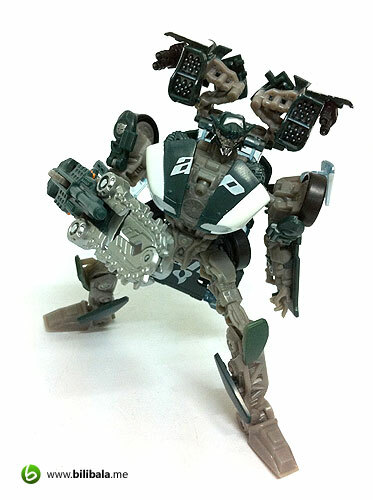 Here are some poses done for Roadbuster in robot mode. Enjoy! 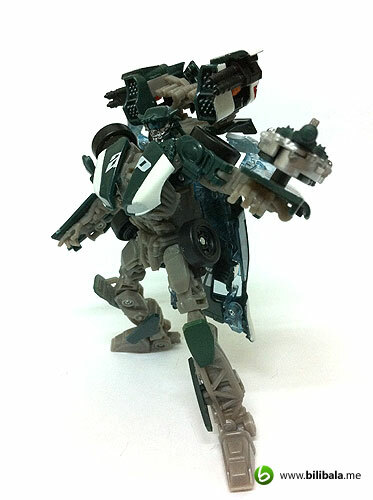 I have clipped in the additional C-port add ons to the shoulder cannon for the following shots. 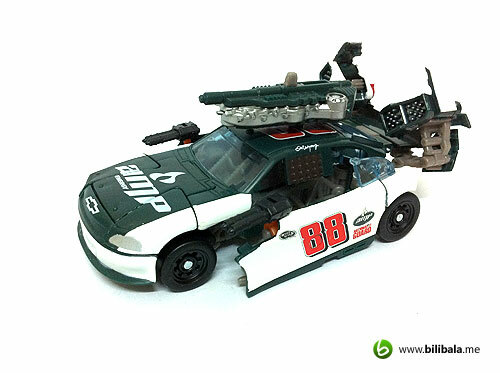 It makes a more completed and armored Roadbuster. Until then, enjoy hunting and hauling! Also I have to say, I really do enjoy your site! I really like the detail that you go into with each figure, and after words, I feel that I have a good idea if I want to buy the figure or not. Some reviewers don't answer that question.